A fellowship project might identify a problem that has not previously been recognized, develop new policy ideas to address familiar problems, or offer a new advocacy strategy. Fellows should take advantage of the considerable intellectual and logistical resources of the Open Society Foundations and expect to contribute meaningfully to the Foundations’ thinking in return. Past and current fellows have included journalists, activists, academics, and practitioners in a variety of fields. 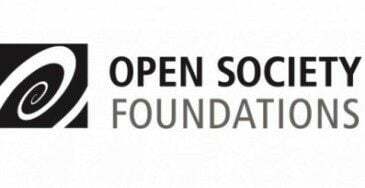 Successful applicants will be eager to exploit the many resources offered by the Open Society Foundations and be prepared to engage constructively with our global network. The fellowship seeks “idea entrepreneurs” from across the world who are ready to challenge conventional wisdom. Successful applicants will be eager to exploit the many resources offered by the Open Society Foundations and be prepared to engage constructively with our global network. The stipend does not necessarily equal the applicant’s current salary. In certain cases, fellows will receive additional financial support to enable them to meet the residency expectation.
. The purpose of the fellowship is to support individual fellows; therefore the program will only cover individual expenses.